If you are looking for a car on rent at Birmingham airport, there are several companies which offer cars with pick up and drop off service with a large fleet of vehicles. 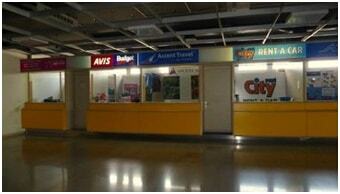 You can go to the rental companies desk at the airport or search and book car online. Birmingham is a shopping paradise, business hub and has lots of tourist attraction. A large number of people visit Birmingham. Many of them prefer car on rentals. Hertz offers cars and vans on Birmingham airport rental for a day, long term, for business etc. Car rent starts from £12 per day. They offer the best price guarantee and if some other company is offering at discounted price, they will pay the difference. You can search for a car on rent at www.hertz.co.uk/p/car-hire/uk/birmingham/birmingham-international-airport . You just enter pick up date & time, drop off date & time and click ‘Search’ button. A list of available car options will be displayed. You can book a car for rental selecting a vehicle from the list. You can either pre-pay for the rent or pay on location when you pick it up. For most of the cars, you are offered discount when you pre-pay. Up to two days before collecting the vehicle, if you amend the booking or cancel booking, no amendment or cancellation fee applies. If you want to make any inquiry, you can call +44 (0) 843 309 3005.
www.budget.co.uk is an industry leader in providing car rental services. The company offers car and van for rentals at Birmingham airport. You can search for a car or van online. You can get a quote online. You can book the car, manage your car booking and cancel booking, if need arises online. You just provide your rental requirements which include location, pick up date & time, drop off date & time and choose a vehicle to book it. Minimum age to rent a car with them is 23 years. Sixt offers car rental services pick up & drop off at Birmingham airport. The company is well-known for vehicle rental and provides its services in 105 countries worldwide. www.sixt.global is the official website of the company. The company offers a range of cars on rental for you to choose from which include standard car to luxurious cars. You can book a car online. You just select the car from available list, provide pick up time & date and drop off time & date to book it. Online booking provides you car rental at discounted price. Avis provides car rental services with pick up & drop off facilities at Birmingham airport. Pick up facility is offered between 6:30 to 23:99 all days of the week except Saturday on which pick up timings are 6:30 to 23. They have 24 hour drop off facility. They offer cars, small, medium and large vans. Avis vans come equipped with rear parking sensors and cruise control for a relaxed driving experience as well as a multi-function display and USB ports. Whether you are on a family adventure or a work trip, you will have a best vehicle to make your journey comfortable. You can search a car at tis website to find right car to suit your needs. You can book a car online at www.avis.co.uk. You can rent a car with Birmingham rental pick up and drop off services with enterprise-rent-a car. It has long opening hours and offers flexible pick up timings. You can book a car for Birmingham airport pick & drop off online at www.enterprise.co.uk/en/car-hire/locations/uk/birmingham-airport-u224.html. You can book a car online by providing pick up and drop off time. If you have a promo code, you can apply to avail the discount when you make reservation. You must be of the age 25 or more to rent a car from them. You can hire car and van at Birmingham airport at much competitive rate with Europcar. They have a large fleet of vehicle for you to select from. You have multiple options from economy to luxury models to suit your needs. Europcar also provides promotional offers and deals. You get pick up and drop off rental service at the Birmingham airport. You can book a vehicle online at www.europcar.com/location/uk. You just enter your location, pick up date & date and drop off date and time to book plus other required details to book a vehicle. Book a car on rental picks up and drop off at Birmingham airport from a reliable car rental services provider and enjoy comforts and luxury on your journey!